As BMW’s quest to fill every conceivable niche in the automotive segment continues, old favorites are still getting love. 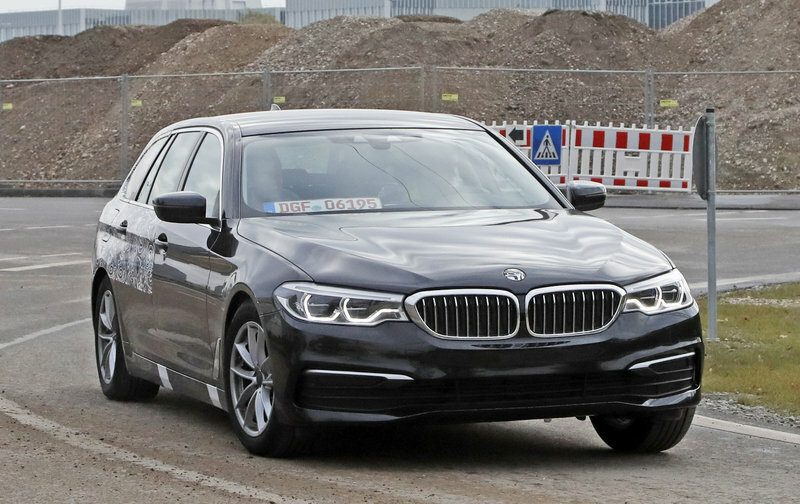 The German automaker debuted an all-new, fifth-generation version of its venerable 5 Series sedan model in late 2016, but the wagon version followed rapidly. Known as the 5 Series Touring, it was developed with the European market in mind. 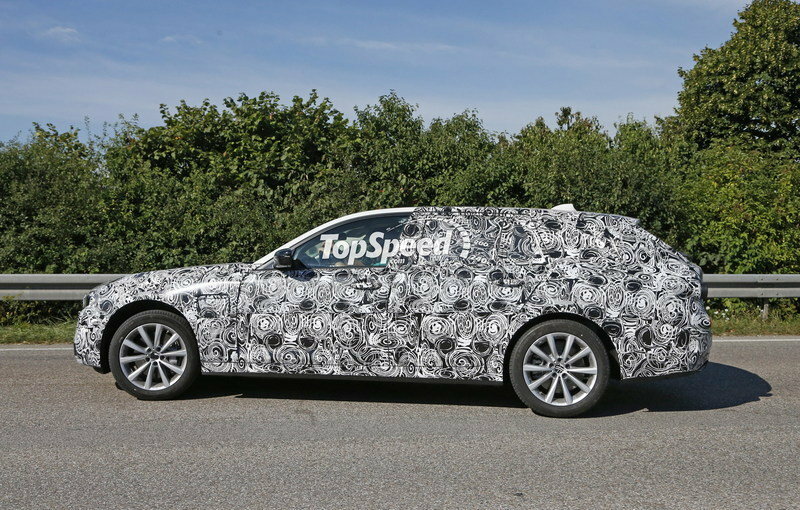 Six engine options exist, three of which can be optioned with BMW’s xDrive AWD system. 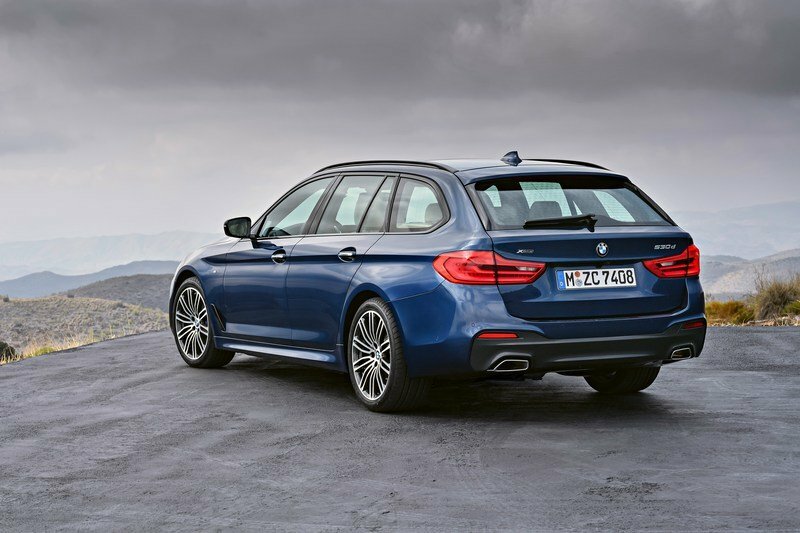 The wagon rides on the same chassis as the 5 Series sedan, which is lighter yet more rigid than the previous model. Its cargo space has grown over the previous model, giving it an impressive 60 cubic feet of space behind the first row. Sadly though, the American market will not enjoy this model. Wagons simply can’t compete with SUVs and crossovers these days. That’s a shame, too, especially when considering the benefits of a cavernous cargo space married with the performance driving characteristics inherent to the new 5 Series. Six trim/engine choices are available with the 2018 5 Series Touring: the 520d, 525d 530d, 520i, 530i, and the 540i. Manual transmission fans can opt for the six-speed gearbox in the 520d. The rest come with BMW’s eight-speed Steptronic automatic gearbox from ZF. Of course, the Touring model gets all the same technology found on the 5 Series sedan. This includes the new 10.25-inch Control Display for the iDrive system, a Head-Up Display, 3D mapping in the navigation system, email and contact syncing with Microsoft Exchange, Apple CarPlay and Android Auto, and a slew of active safety features on par with the cutting edge of legality. 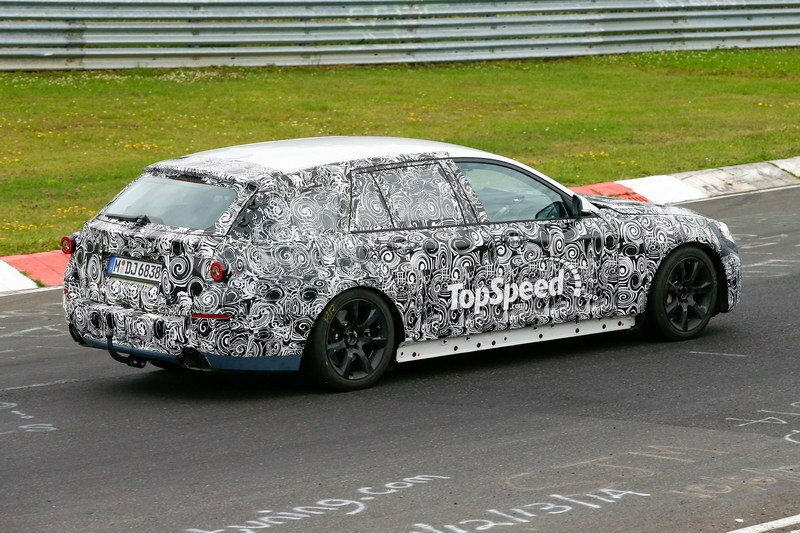 There’s plenty more information about the 5 Series Touring, so keep reading for the full run-down. The design is certainly an evolutionary one, though none of the parts are carryover. Cover everything behind the C-pillar, and you’d never spot a difference between the Touring wagon and the sedan. And that’s just fine; we appreciate the congruency between the models. 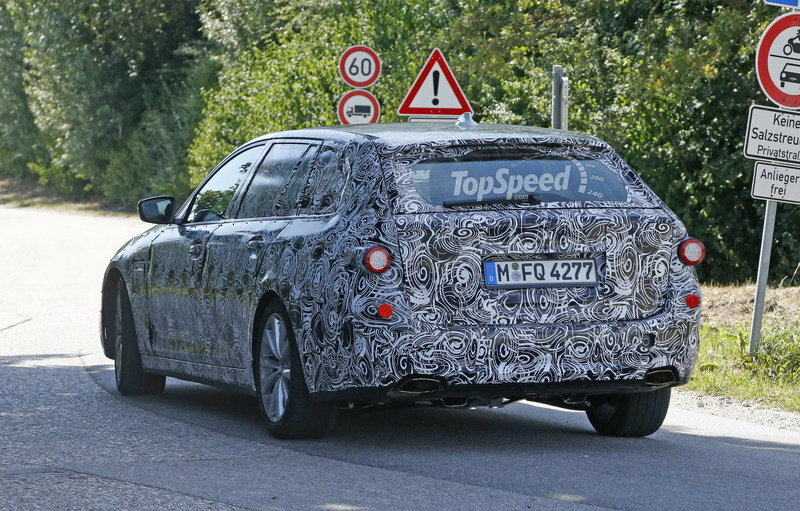 Nevertheless, the 5 Series Touring offers plenty to talk about. 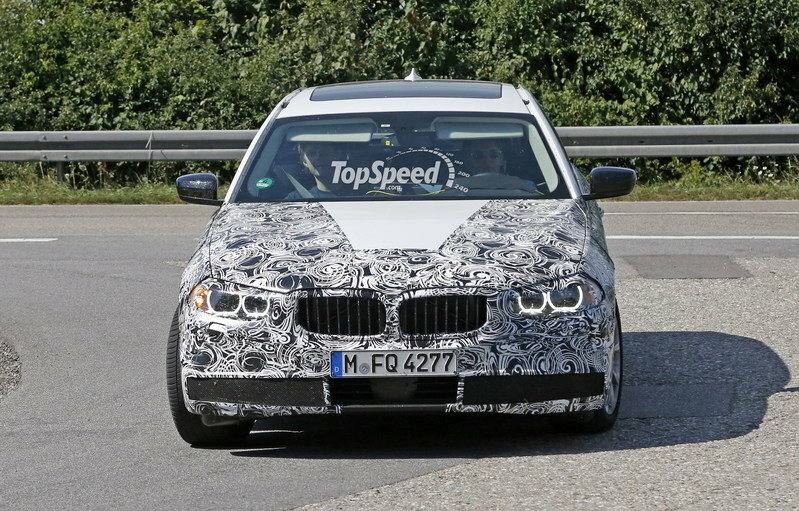 Up front, BMW’s newly restyled fascia still harks back to days gone by. The kidney grille and connected headlights with their quad beams – all that’s in place. Even the lower fascia with its mad Ninja Turtle mouth makes its return. The design is certainly an evolutionary one, though none of the parts are carryover. 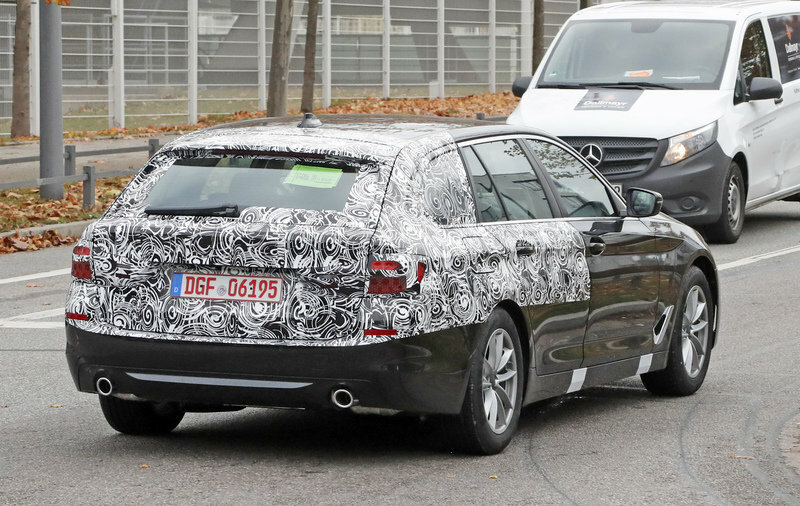 Around to the sides, the 5 Series Touring uses the same character lines as the sedan. A bold line runs through the door handles, making its way from the front fender to the taillights. Down low, a hockey stick character line accented by a chrome piece adorns the bottom portion of the doors. Narrow side mirrors, sculpted fender openings, and crisp lines define the 5 Series’ aesthetics. 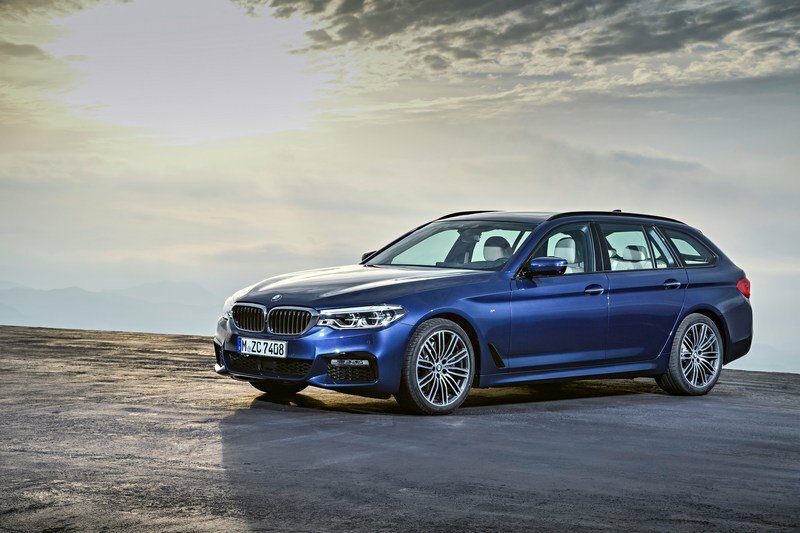 The 5 Series Touring gets an elongated roofline for more interior storage. The rear hatch offers SUV-like access to the rear cargo area, and the surrounding bodywork incorporates the large opening into the overall design of the car. The obvious difference is out back. 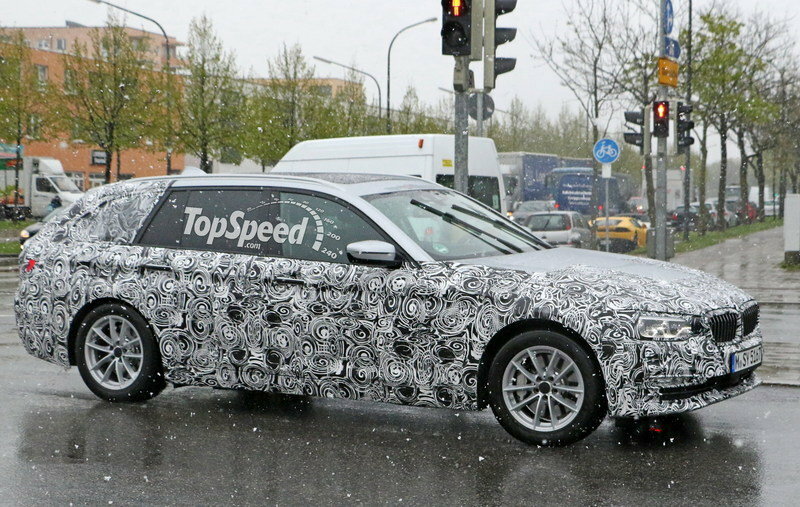 The 5 Series Touring gets an elongated roofline for more interior storage. The rear hatch offers SUV-like access to the rear cargo area, and the surrounding bodywork incorporates the large opening into the overall design of the car. BMW’s LED taillights offer a striking design, especially at night. The lower fascia has dual, chrome-tipped exhaust pipes made more recognizable by the black trim work. The rear hatch hides another handy feature – separate lift glass from the metal hatch. Yep, just like traditional SUVs, the rear glass can be opened separately from the hatch. That makes loading that last bit of luggage much simpler. The power-operated hatch can also be optioned with hands-free opening. 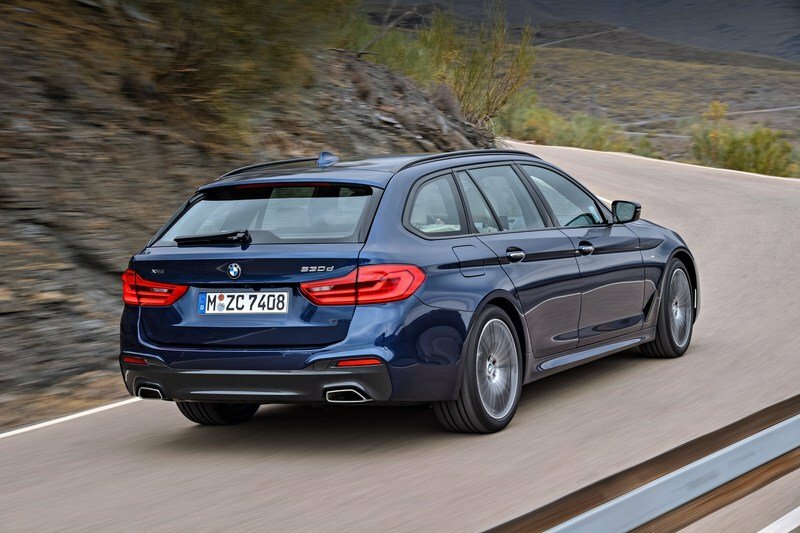 Without question, the 5 Series Touring’s biggest competitor is the Mercedes-Benz E-Class Wagon. It’s been that way for more decades than millennials have been alive. The big Benz offers a stately appearance with S-Class-like interior accoutrements and a bevy of powertrain options (in Europe, at least). 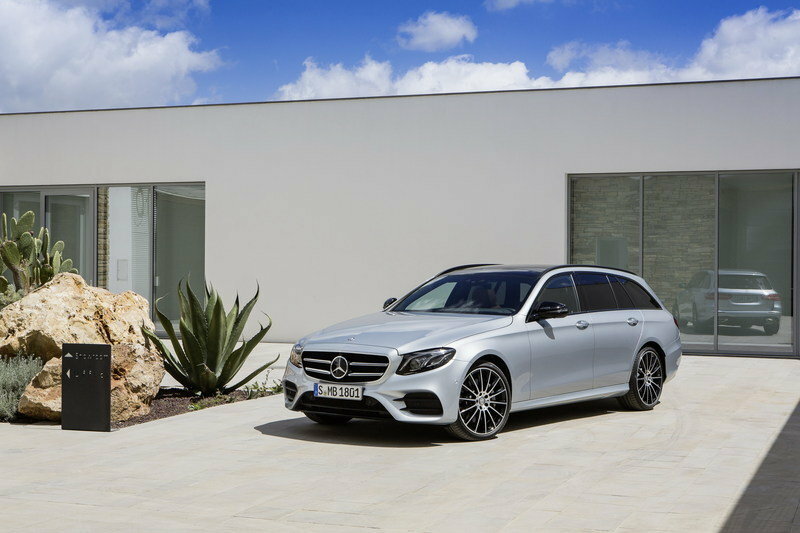 As for its outward design, the E-Class Wagon is formal yet muscular; elegant yet menacing. Its curved bodyline breaks up its long side profile, while the curved roof gives it character without sacrificing interior space. Up front, the Mercedes logo is unmistakable thanks to its dinner-plate size. Details like the dual-tipped chrome exhaust pipes and large wheels give it a sporting flair, while not abandoning its luxurious status. The overall design hasn’t changed too much, but the details hold the biggest changes. BMW has done an amazing job updating its cabin. The overall design hasn’t changed too much, but the details hold the biggest changes. The technology front is also hugely updated, including a digital gauge cluster and the 10.25-inch infotainment screen. BMW’s iDrive system is heavily reworked, offering more intuitive controls and menu screens. The main controller lies beside the electronic gearshift, complete with quick-select buttons for easy access to often-used features like navigation and radio. BMW also includes its hand gesture control system. The technology front is also hugely updated, including a digital gauge cluster and the 10.25-inch infotainment screen. The driver’s experience is enhanced with well-placed controls. The automatic start/stop system can be disabled with a button just below the engine’s main start/stop switch. How clever. 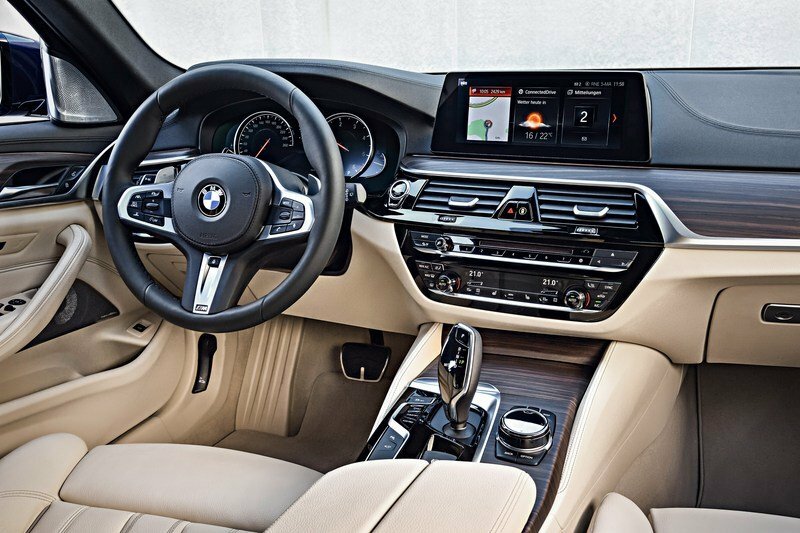 The three drive modes are controlled by individual buttons near the gearshifter, as is the electronic parking brake and BMW’s Parking Assistant feature. A redesigned steering wheel offers paddle shifters on automatic transmission cars, along with cruise control buttons and controls for other features. Being a wagon, the 5 Series Touring has a ton of storage space. There is 20 cubic feet behind the second row and an impressive 60 cubic feet with the 40/20/40-split bench folded flat. The seats are power-folding and buttons near the rear hatch control their operation. Tie-down rails with movable cleats make securing cargo a snap, while a stowable cover keeps cargo out of sight from thieves. The Mercedes E-Class wagon, or Estate as its sometimes called, offers a rather swanky place to eat miles. Mercedes introduced the updated E-Class for the 2016 model year, so it’s still very fresh. Inspiration comes directly from the S-Class. The driver gets dual 12-inch screens for the gauge cluster and infotainment system, the center console features controls for the system’s menus and features, and each passenger is coddled in soft, leather-wrapped seats with intricate stitching. The overall look and feel is utterly amazing. In back, the E-Class wagon boasts 20.5 cubic feet of cargo room behind the rear seats. With the rear bench folded flat, the area expands to 57.4 cubic feet. Under the hood are six engine options that correspond to the alphanumeric coding on the tailgate. The 520d is the “base” model in the diesel lineup. It comes with a 2.0-liter four-cylinder turbodiesel making 190 horsepower and 295 pound-feet of torque. As mentioned before, a six-speed manual transmission can be had here, though an eight-speed automatic is optional. The xDrive AWD system is also available for this model. BMW says the 520d will hit 62 mph in 7.8 seconds when pushed, yet get between 57.6 and 62.8 mpg on the lenient Imperial mpg test cycle. Next up is the 525d, which also uses a 2.0-liter four-cylinder, but this time around rated at 231 horsepower and 370 pound-feet of twist. Equipped with a sport automatic transmission but not available with all-wheel drive, the 525d charges to 62 mph in 6.8 seconds. 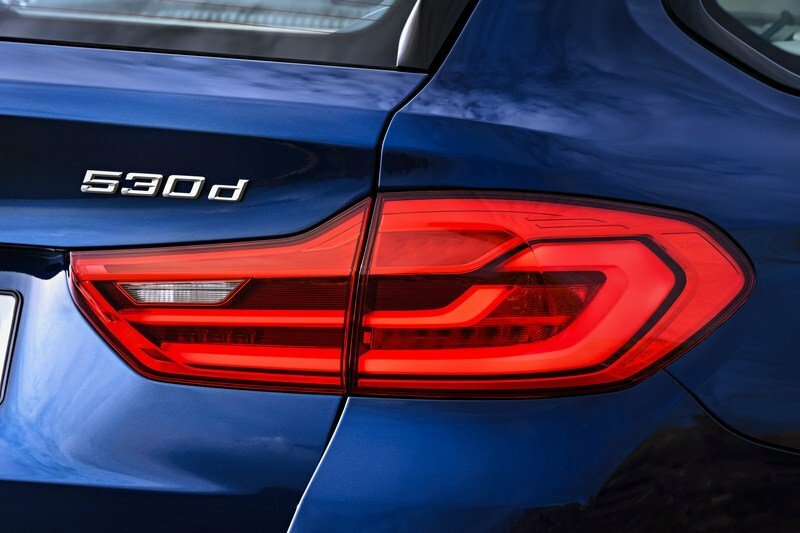 The range-topping model of the diesel lineup, the 530d, uses BMW’s 3.0-liter straight-six turbodiesel engine. It generates a more respectable 265 horsepower and 457 pound-feet of torque. The extra power helps scoot the 530d to 62 mph in just 5.8 seconds in combination with the xDrive AWD system. Fuel economy doesn’t seem to suffer much, with it estimated to achieve between 55.4 and 60.1 mpg on the European test cycle. Moving over to the gasoline lineup, it begins with the 520i model, which gets its juice from a 2.0-liter four-cylinder engine. The turbocharged unit delivers 184 horsepower and 210 pound-feet of torque, which enables the wagon to hit 62 mph in 8.2 seconds. Equipped with the automatic gearbox as standard, the 520i is not available with all-wheel drive. Up next is the 530i with a beefed-up 2.0-liter turbo-four. Using BMW’s TwinPower twin-scroll turbocharger, the gasoline engine kicks out 252 horsepower and 258 pound-feet of torque. Coming standard with the eight-speed automatic, the 530i hits 62 mph in 6.5 seconds and achieves between 44.8 and 48.7 mpg. Sitting atop the 5 Series Touring heap is the 540i. BMW’s new 3.0-liter straight-six gasoline engine makes an impressive 340 horsepower and 332 pound-feet of torque in butter-smooth fashion, hitting 62 mph in only 5.1 seconds. Fuel economy suffers though, with its estimated mpg sitting between 36.7 and 38.7. The eight-speed automatic is the only available gearbox here, but the xDrive system is available. Here in America, the Mercedes-Benz E-Class Wagon comes with one powertrain in E400 trim – the twin-turbocharged 3.0-liter gasoline V-6. It makes 329 horsepower and 354 pound-feet of torque and is backed by a nine-speed automatic transmission. In Europe however, the E-Class has more powertrain choices than the Ford F-Series. On the gasoline side, there is the E200 and E250 in addition to the E400. Both use a turbocharged, 2.0-liter four-cylinder engine, but while the former gets 184 horsepower and 221 pound-feet, while the latter comes with 211 horsepower and 258 pound-feet on tap. There’s also three diesel models to choose from, starting with the E200d, powered by a 2.0-liter four-banger rated at 150 horsepower and 265 pound-feet. 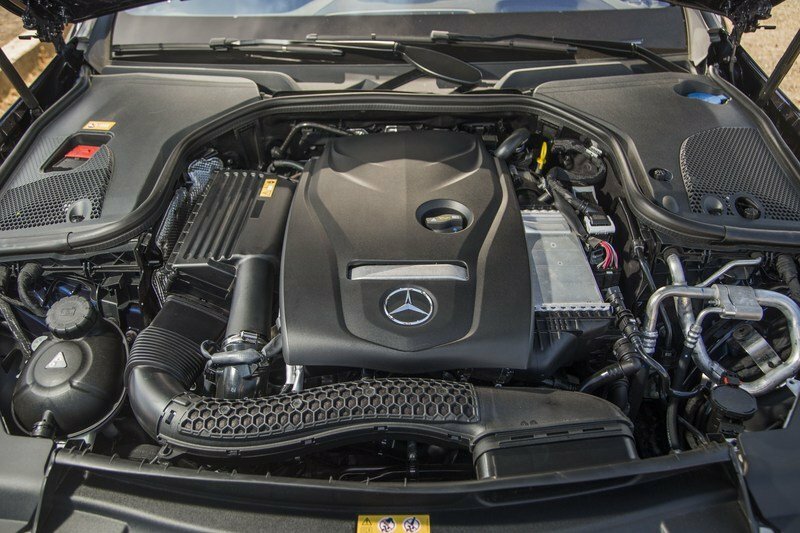 The same engine is tuned to deliver 194 horses and 295 pound-feet in the E220d. Finally, the E350d gets its juice from a 3.0-liter, V-6 turbodiesel that generates a healthy 258 horsepower and 457 pound-feet of torque. The 4Matic all-wheel drive system is optional on some models. The 2018 BMW 5 Series Touring comes packed with active safety equipment. Included in the mix is Lane Change Assistant and Lane Keeping Assistant with active side collision protection and Active cruise control with Stop&Go functionality for traffic jams. 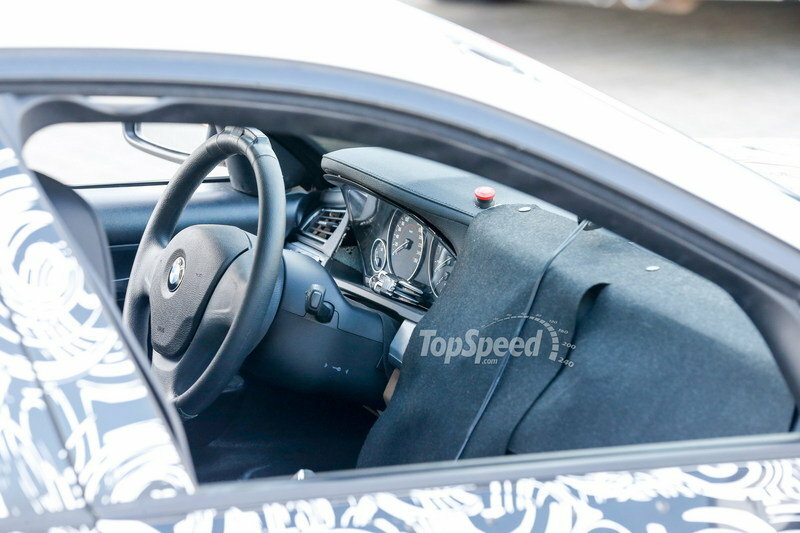 There’s also BMW Connected, which is said to bridge the gab between the car and the drive’s smartphone. It’s designed to help the driver keep appointment times and reduce driving time by using real-time traffic information to reroute around slow areas of town. This is where the Microsoft Exchange integration comes in, allowing for email and calendar syncing. A new parking system helps the driver save time, too. Parking Assistant works in conjunction with Remote Control Parking and ParkNow services to book parking spaces online and pay using a connected credit card. For immediate parking help, BMW’s On-Street Parking system helps the driver find an empty parking space along the street. BMW is upping the price for the 2018. 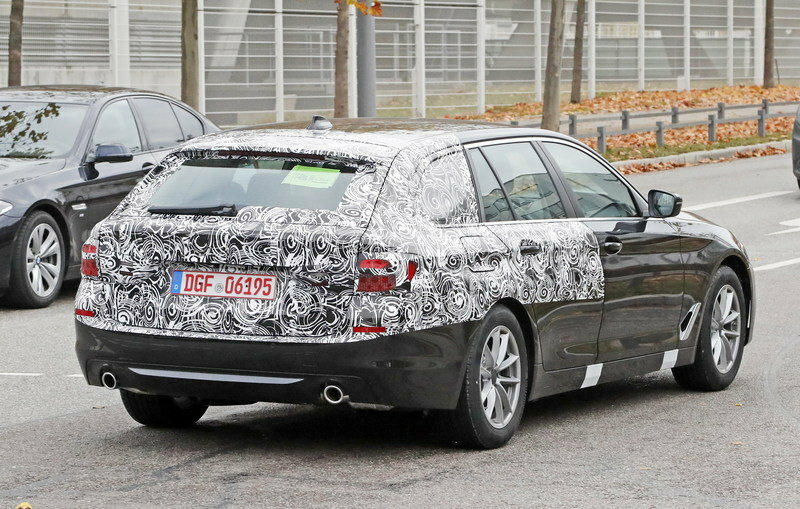 The 5 Series Touring will launch in June of 2017 will a starting price of 47,700 euros for the 520d. That’s almost 2,000 euros more than before. However, the 2018 model does come with more standard features than before, so the price is justifiable. The 530d will start at 56,800 euros, while the 530i starts at 52,300 euros. 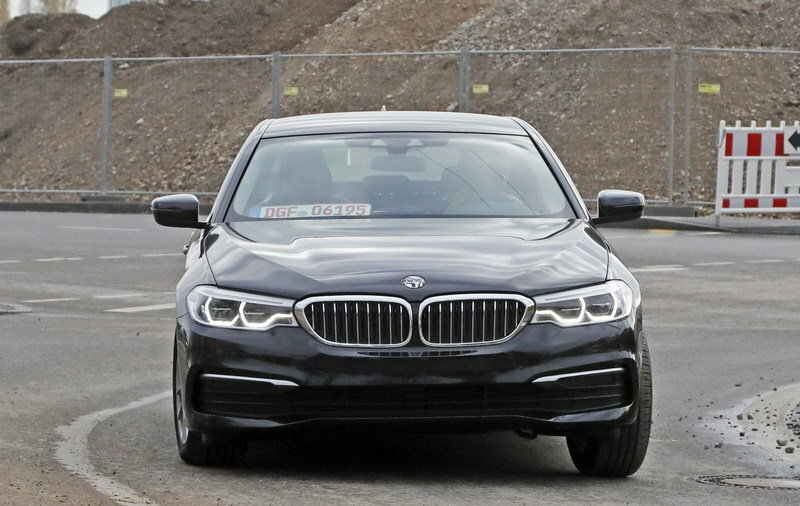 The range-topping 540i will start at 62,800 euros. Quietly offering wagon version of its sedan for decades, Volvo has made its reputation building safe, utilitarian, and downright indestructible wagons. 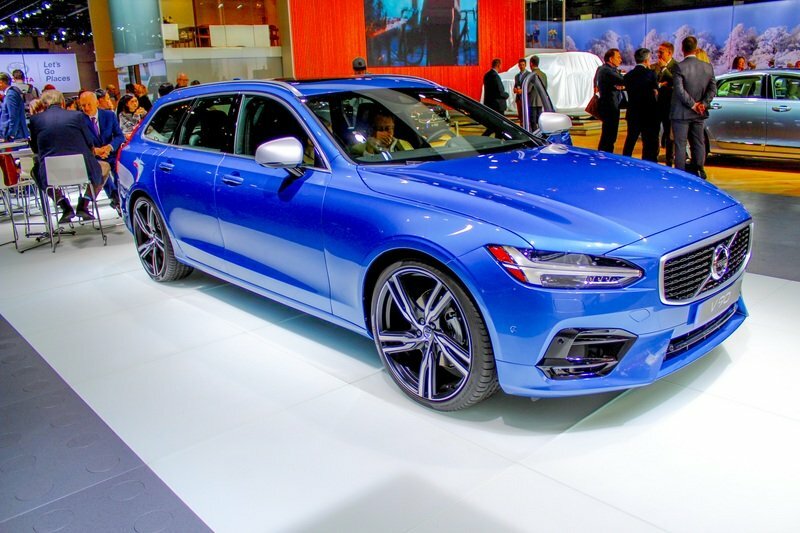 The Swede’s latest version of the V90 – a wagon version of its insanely beautiful and well-appointed S90 sedan. The V90 takes all that’s awesome with the S90 and tacks on the wagon back. This brings a new level of functionality to the 90-series. The V90 boasts 53.8 cubic feet of cargo room. The V90 offers two engines to choose from: the standard T5 and the optional T6. The T5 is a turbocharged 2.0-liter four-cylinder making 250 horsepower and 258 pound-feet of torque. The optional T6 uses that same engine, but adds a supercharger in addition to the turbocharger. The dual forced-induction gives the T6 a flat dyno chart with peak outputs set at 316 horsepower and 295 pound-feet of torque. Pricing for the 2018 V90 starts at $49,950 in the U.S. The range-topping T6 Inscription with AWD starts at $57,950. Read our full review of the 2018 Volvo V90. 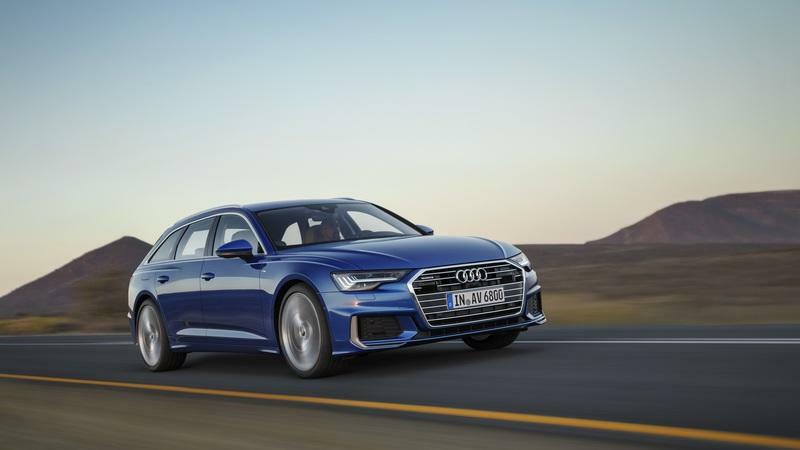 Introduced in 2018, the A6 Avant boasts the new, sharp design of the sedan model and a reshaped rear section that looks sportier than the outgoing model. The cabin also received a much-deserved redesign that includes the already familiar continuous air-vent strip, finer materials, and a lot more tech. Highlights include a 10.1-inch infotainment screen, a 12.3-inch instrument cluster, and optional massage functions for the contoured front seats. The German wagon is on par with the competition when it comes to trunk space, offering 20 cubic feet with the rear seats up and 59.3 cubic feet with the seats folded flat. Two drivetrains are available at launch. The 3.0-liter TFSI V-6 produces 340 horsepower and 369 pound-feet of torque and enables the A6 Avant to hit 62 mph in 5.2 seconds. 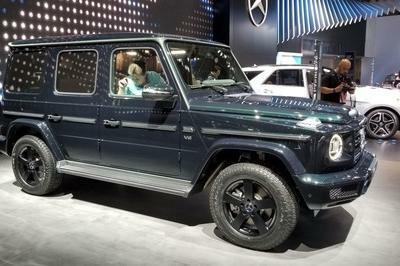 The second option is the 3.0-liter V-6 turbodiesel, which delivers 286 horses and 457 pound-feet of twist. 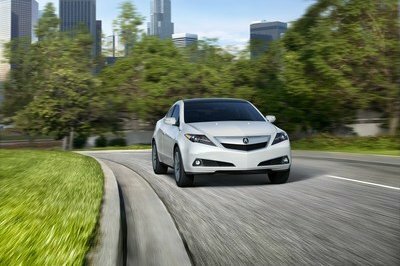 Both engines are fitted with a mild hybrid system for enhanced fuel economy. While the gas engine mates to a seven-speed S Tronic and the diesel comes with an eight-speed Tiptronic. Both versions get the company’s already iconic Quattro all-wheel-drive system. BMW has long been highly regarded for its sedans and wagons, with the 5 Series spearheading that claim. Now with the healthy reworking for 2018, the 5 Series should have enough muscle to continue its right agasint world-wide rivals. The same is true for the 5 Series Touring. Though not many automakers still offer wagons thanks to dwindling demand, BMW’s latest model should do well in the segment. It combines daringly handsome good looks with a well-appointed interior and highly advanced electronics – not to mention more interior volume for cargo. SUVs and crossovers might be all the rage these days, but almost none of them can compete with a low-riding, car-based wagon for outright performance and drivability on the open road. And thanks to BMW’s xDrive, all-weather traction isn’t a problem. The only this a crossover can boast is ground clearance. Nevertheless, the vast majority of Europeans don’t Land Rover-like measurements to commute to work. 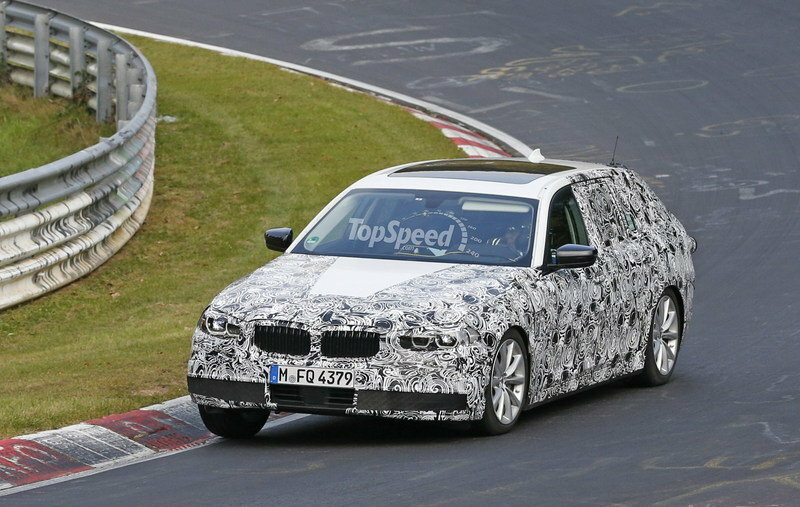 That makes the 5 Series Touring a solid choice against the mainstream crossover. Not comging to the U.S. 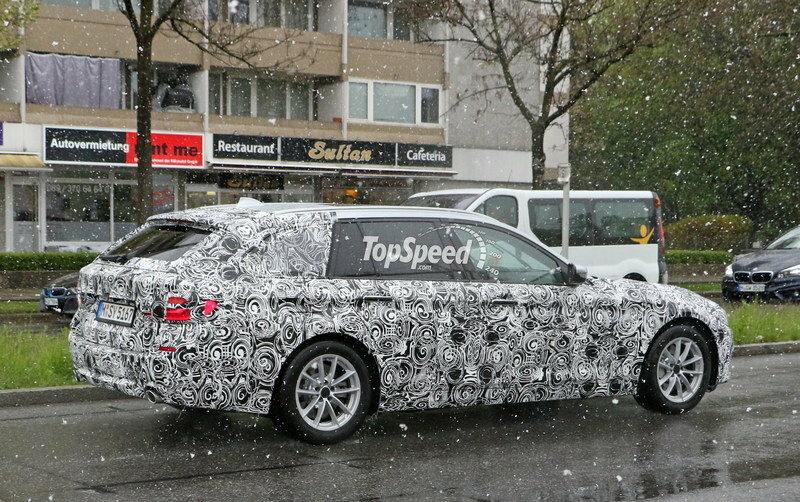 Updated 04/26/2016: Our spy photographers caught the upcoming BMW 5 Series Touring out for a new testing session out in a very snowy Munich. 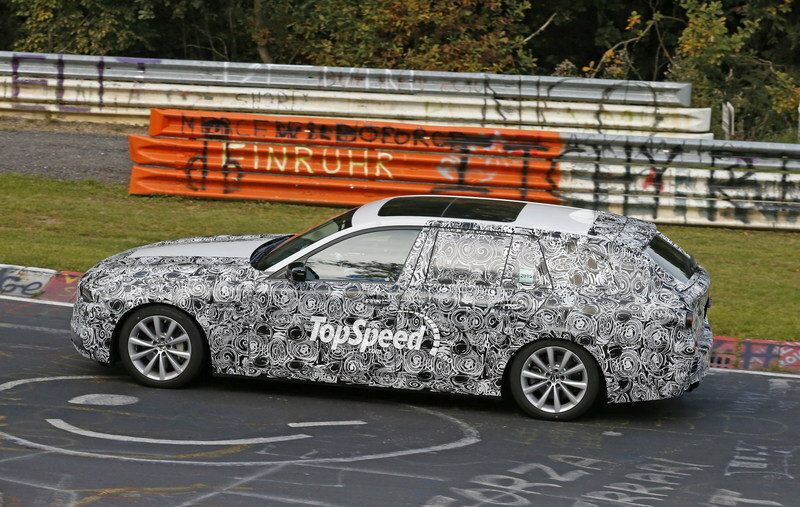 Updated 10/19/2015: Our spy photographers caught the upcoming 5 Series Touring testing on the Nürburgring Nordschleife. 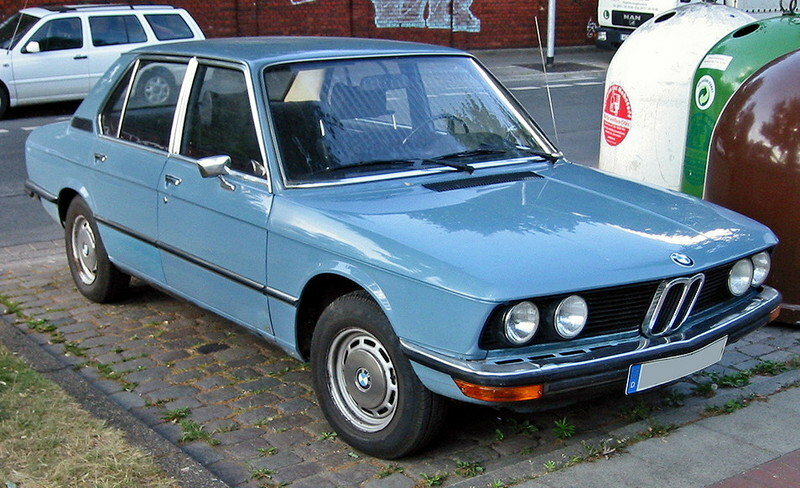 BMW launched the 5 Series back in 1972 and since it has seen six different generations. The first generation was offered between 1972 and 1981 and was offered only in the sedan body style with a manual transmission. The model was named 5 Series because it was the fifth model BMW built on the "New Class" platform. The second generation arrived in 1981 and lasted until 1988. For the first time, BMW offered the 5 Series with a six-cylinder diesel engine and with an automatic gearbox. 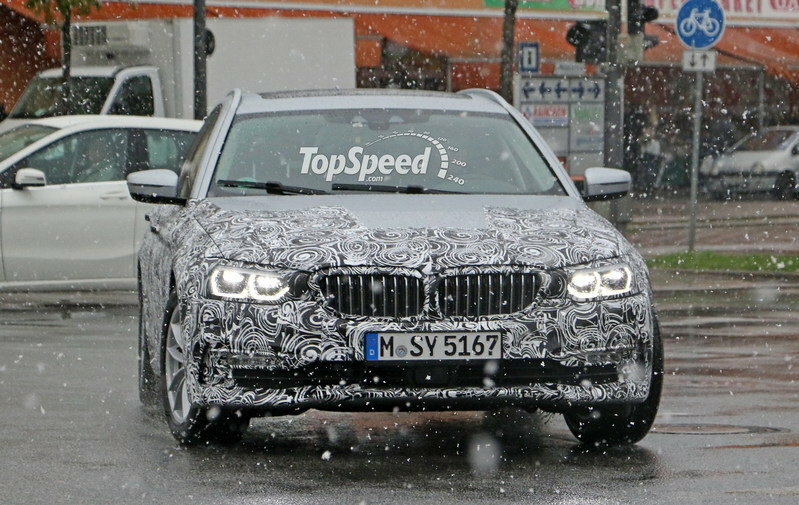 The M5 was also introduced for the first time. The third generation was produced between 1988 and 1996 and by many specialists it is considered the most reliable BMWs ever made. 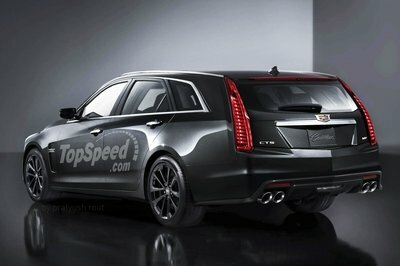 New features included the addition of a new V-8 engine, an all-wheel-drive system and a new station wagon body version. The fourth generation was produced between 1995 and 2004 and was heavily inspired by the 7 Series model. It grew in sizes by about 2.7 inches and was listed by many magazines as one of the best 10 models in the world. 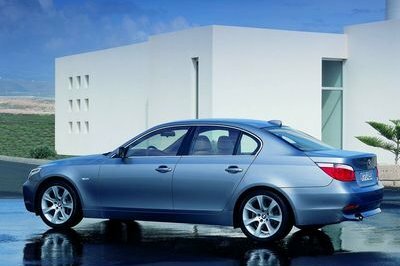 In 2003 BMW announced the fifth-generation 5 Series, which remained in production until 2010. The model was the best sold 5 Series ever, despite its non-traditional styling offered by BMW designer Davide Arcangeli. The current generation hit the market in 2010. The model is built on a 7 Series platform and offers numerous new features, like a front dual ball joint short-long arm suspension and a rear multilink suspension. For the first time the model is offered in a hybrid configurations and in a Gran Turismo body version. 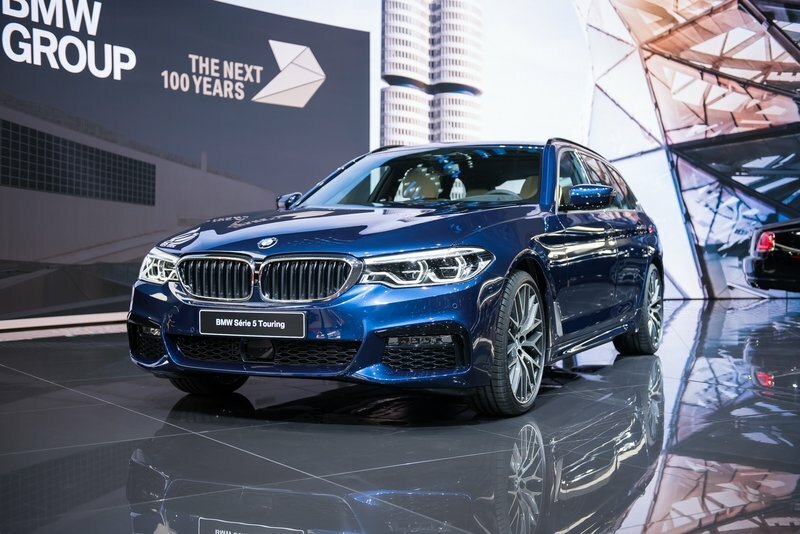 Like the recently launched new BMW 5 Series Sedan, the second body variant in this tradition-steeped model range also impresses with an exceptional display and operating concept, trailblazing assistance systems and stand-out advances in digital connectivity. “The BMW 5 Series Touring was developed specifically for the European market, where it has enjoyed great success over the last 25 years. I am sure that the versatility of this new, fifth generation will prove even more popular with those customers who appreciate the 5 Series Touring’s characteristic roomy, variable loading space combined with its distinguished appearance and – of course – its BMW-typical driving dynamics,” says Dr Ian Robertson, Member of the Board of Management at BMW AG, Sales and Marketing. The new BMW 5 Series Touring celebrates its world premiere in March 2017 at the Geneva International Motor Show. 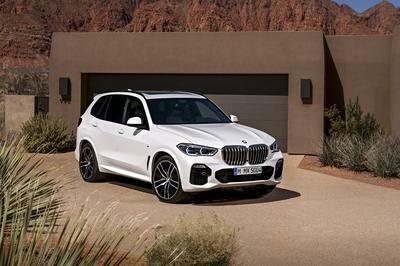 Four engines from the BMW Group’s latest generation of power units will be available to order when sales begin in June 2017, while the BMW xDrive intelligent all-wheel-drive system will be fitted in two models from day one. Additional variants with both classical rear-wheel drive and all-wheel drive will join the line-up over the course of the year. Weight reduced, agility enhanced, efficiency optimised. The sporty driving characteristics of the new BMW 5 Series Touring are the product of new chassis technology and a commitment to reducing weight. Rear air suspension with automatic self-levelling is part of standard specification. Included on the options list, meanwhile, are Dynamic Damper Control, the Adaptive Drive system with active roll stabilisation, Integral Active Steering (now available in conjunction with xDrive) and M Sport suspension with a ten-millimetre drop in ride height. The suspension side members and tailgate are now made from aluminium, which is also employed alongside high-strength steels in many other chassis components and the extremely torsionally-stiff body. This use of materials, together with the efficient drive-system technology already mentioned and optimised aerodynamics, results in fuel consumption and emissions 11 per cent lower than the figures recorded by the new 5 Series Touring’s predecessor. Athletic design for a versatile sports machine. With surface contouring that creates a clearly defined athletic build and dynamically stretched lines, the exterior design of the new BMW 5 Series Touring clearly expresses the blend of sportiness and versatility for which this model is renowned. 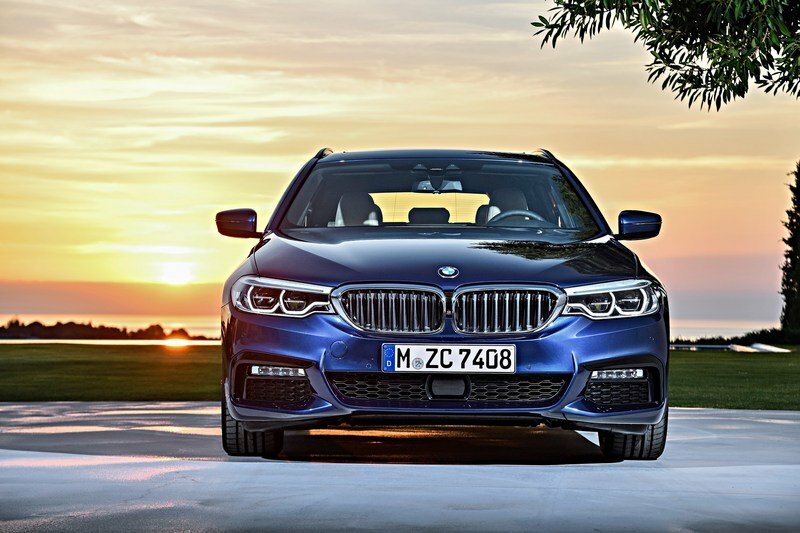 Precise contours mark out the front end of the new Touring, and the standard LED headlights extend up to the forward-surging BMW kidney grille. The flanks, meanwhile, combine the car’s distinctive geometry with harmonious proportions. Another contributor to the sporting aura exuded by the new BMW 5 Series Touring is its long roofline, flowing into heavily raked D-pillars. The rear window is framed by a roof spoiler with integrated auxiliary brake light and air deflectors at the sides. Lower down, a series of prominent horizontal lines and the L-shaped rear lights reaching deep into the car’s flanks accentuate the body’s width. Improved spaciousness and intelligent functionality. Inside the new BMW 5 Series Touring, a driver-focused cockpit design shares the stage with the premium ambience generated by a combination of contemporary elegance, precisely finished high-quality materials and a devotion to detail. 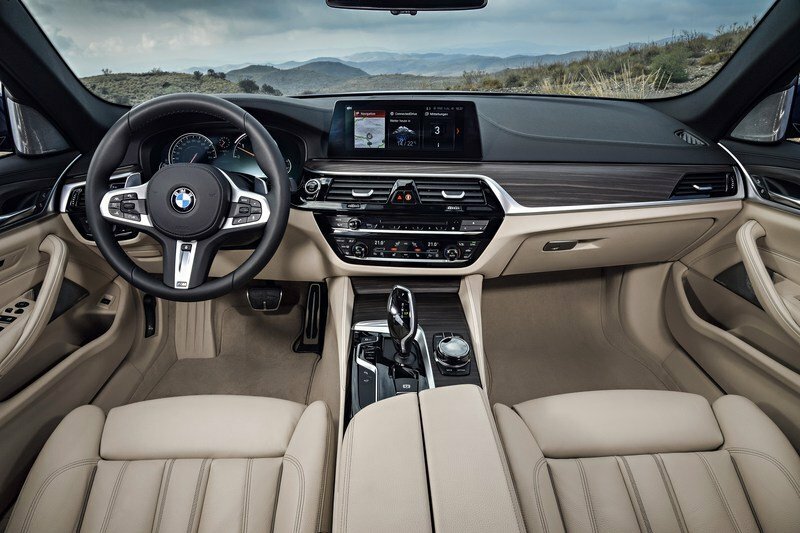 The instrument panel rises up less prominently than in the outgoing 5 Series Touring, helping to create a generous feeling of space. The Control Display now comes in freestanding, flatscreen form. All seats benefit from appreciably greater head-, shoulder- and legroom, while optimised backrest contours, longer seat surfaces and extended kneeroom elevate comfort for the rear passengers. Further upgrades to the soundproofing provided by the windscreen, headliner and load compartment raise the acoustic comfort on board the new BMW 5 Series Touring to sedan levels. The increase in interior width allows up to three child seats to be fixed securely and comfortably across the rear. 570 – 1,700 litres and its permissible load by up to 120 kilograms, depending on the model variant (to 720 – 730 kilograms). Similarly impressive is the high degree of functionality rooted in an array of practical details, such as the 40 : 20 : 40 split/folding rear seat backrest, electric remote backrest release (operated by pressing a button in the boot), separately-opening rear window and automatic tailgate operation – which, as an option, allows hands-free opening and closing. The load compartment cover and luggage partition net are now contained in separate cartridges that can be stowed away in matching recesses underneath the load compartment floor. Driving pleasure, just as you like it: four engines and BMW xDrive available from launch. 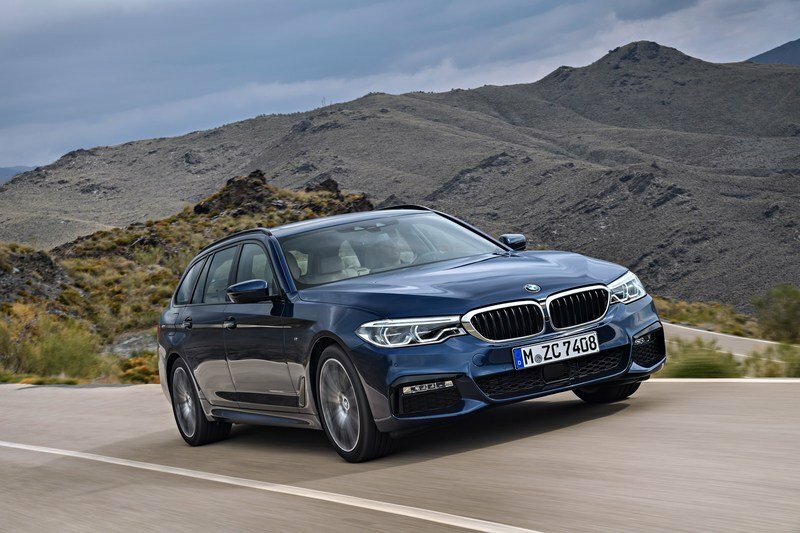 The engines available to customers from the market launch of the new BMW 5 Series Touring boast BMW TwinPower Turbo technology and combine enhanced performance with reduced fuel consumption and emissions. 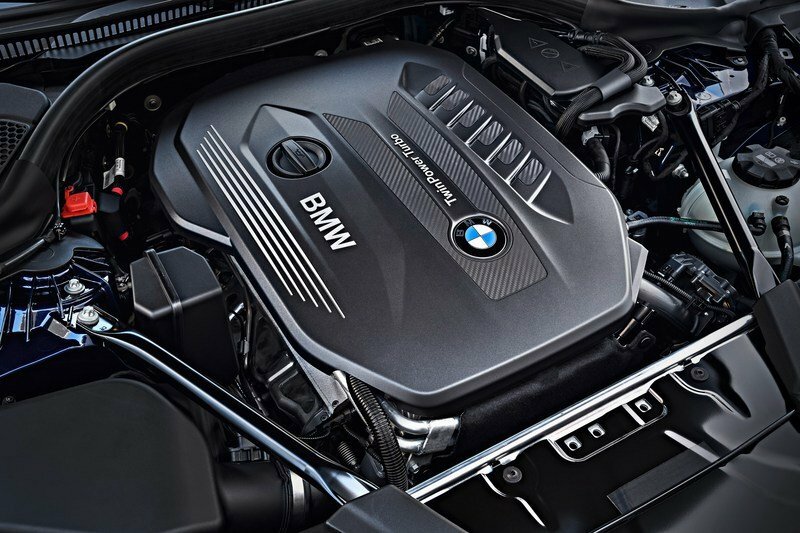 The 2.0-litre four-cylinder petrol engine under the bonnet of the new BMW 530i Touring generates maximum output of 185 kW/252 hp and peak torque of 350 Nm (258 lb-ft). The BMW 530i Touring comes as standard with an eight-speed Steptronic transmission and sprints from 0 to 100 km/h (62 mph) in 6.5 seconds. Its combined fuel consumption stands at 6.3 – 5.8 litres per 100 kilometres (44.8 – 48.7 mpg imp)* and CO2 emissions are 143 – 133 grams per kilometre*. (36.7 – 38.7 mpg imp)* and CO2 emissions of 177 – 167 grams per kilometre*. 129 – 119 grams (124 – 114 grams) per kilometre*. (55.4 – 60.1 mpg imp) / 5.7 – 5.3 l/100 km (49.6 – 53.3 mpg imp)* and CO2 emissions come in at 134 –124 or 149 –139 grams per kilometre*. Operating system: extremely intuitive, more versatile than ever. The high-resolution, up to 10.25-inch Control Display used by the iDrive operating system comes in touchscreen form in the new BMW 5 Series Touring. As before, the vehicle, navigation, communication and infotainment functions can also be operated using the Touch Controller, should the driver prefer. The new tile-look menu display helps ensure intuitive usability and minimal distraction from what is happening on the road. Lending additional variety to the options available for operating the car’s functions are the further developed voice command technology and the gesture control system now also available in the BMW 5 Series. With its 70 per cent larger projection surface, the latest-generation BMW Head-Up Display represents another step forward for the car’s display and operating concept. Ongoing progress towards automated driving. 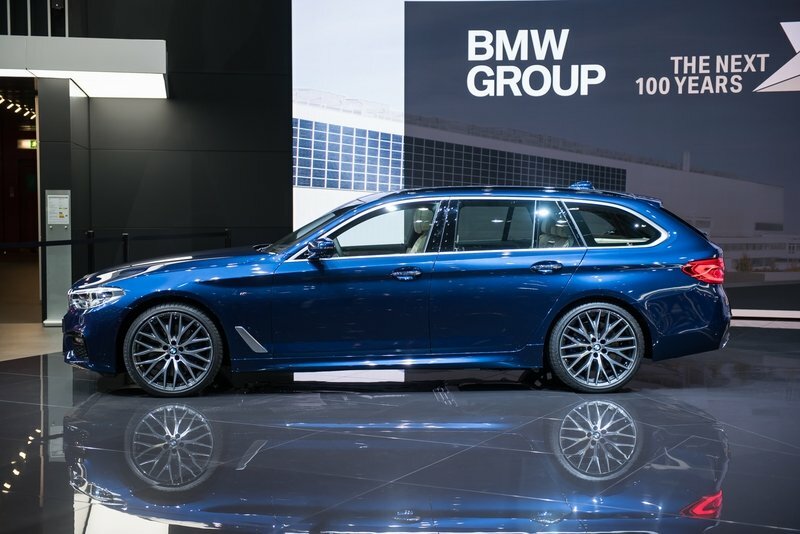 The new BMW 5 Series Touring is the latest model to point the way to automated driving with the help of new assistance systems and extended functionality. Contributing to the relentless progress in this area are Crossing traffic warning and Priority warning, Lane Change Assistant and Lane keeping assistant with active side collision protection, and the evasion aid. The new systems provide steering and lane control assistance from walking speed up to 210 km/h (130 mph), ensuring additional comfort and offering a helping hand in challenging driving situations. With the Active Cruise Control with Stop&Go function activated, the driver can now factor in speed restrictions detected by the Speed Limit Info system by simply pressing a button. Personal mobility assistant and intelligent parking space searches. The new BMW 5 Series Touring also features BMW Connected, which provides a seamless bridge between the car and its driver’s smartphone. This technology assists drivers with their personal appointment and mobility planning – both on the road and at their home or workplace. For example, navigation destinations can be sent into the car from the user’s smartphone and the ideal departure time calculated using Real Time Traffic Information. Added to which, Remote 3D View allows users to access images of the area around their car on their smartphone. And users can manage their calendar, e-mail and contact details via Microsoft Exchange. Wireless smartphone integration also enables the use of Apple CarPlay and is complemented by an inductive charging facility. The new and comprehensive parking systems also enhance comfort. In addition to the Parking Assistant, the new BMW 5 Series Touring is now available with the Remote Control Parking function. Plus, drivers can also take advantage of the ParkNow service enabling online reservation of parking spaces and cashless payment. And the innovative On-Street Parking Information service helps users to find vacant on-street parking spaces.